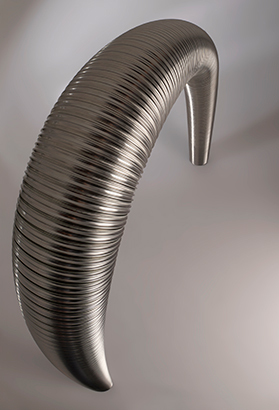 Midtherm Midflex 316L is a twin wall flexible liner made from 316L grade stainless steel and produced to the highest standards. The Midflex 316L has good resistance to pitting and crevice corrosion. Where a lower temperature/slumbering operation may be encountered our Midflex 904L product should be used as this grade of stainless steel provides better corrosion resistance to condensation. 904L is recommended for use with relatively high sulphur content fuel, such as processed coal products (smokeless fuels).